1:1 THC to CBD and a blend of carbs and protein, perfect for a post-workout snack or relaxing by the campfire after a long backpack hike. 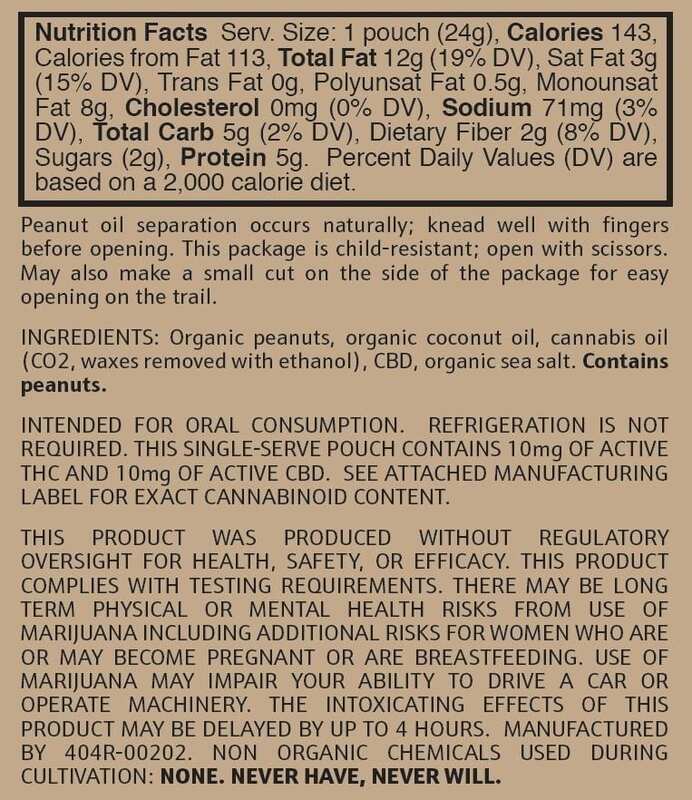 All organic ingredients. 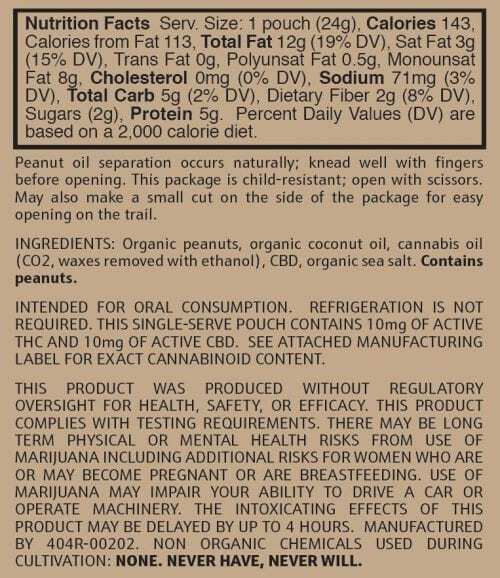 Ingredients: Organic peanuts, organic coconut oil, cannabis oil (CO2, waxes removed with ethanol), CBD, organic sea salt. 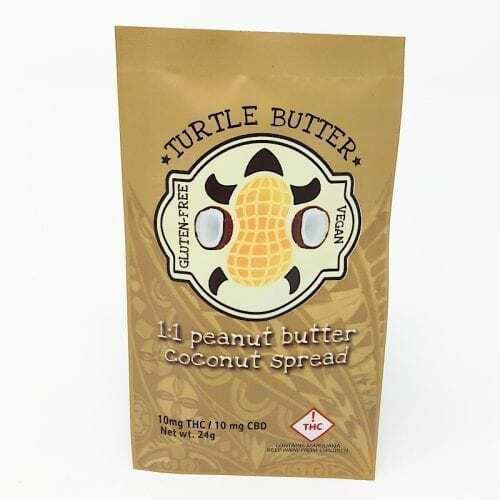 I’m a big fan of the nut butter spreads….especially the coconut peanut butter. The spreads are easy to use and great for when you are on the go or just wanting a relaxing start to your day. 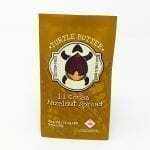 I have also enjoyed the tinctures and they are great to add to any beverage but blends especially well with beer. 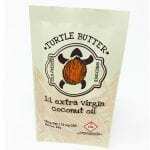 I look forward to try more products from Lucky Turtle! This stuff is so good. I eat it straight from the pouch which mountain biking. Helps me focus and dull the pain.